The air you breather inside your home could be the most polluted air you breathe all day. In fact, the EPA has named indoor air pollutions as one of the top five environmental risks to public health. With the amount of time spent indoors, it’s no wonder so many people suffer from allergies, asthma and other illnesses. If you see dust in the air or on your furniture, what you’re really looking at are mold spores, pet dander, bacteria, pollen and other harmful contaminants. About 40, 000 dust mites, which increase the chance of asthma development, can live in just one ounce of dust. In addition to visible contaminants, there’s an alarming concentration of harmful particles that are invisible to the human eye. Particulate matter like this is the leading cause of poor indoor air, and it’s found in 85% of homes. While polluted indoor air can have a negative effect on the health and comfort of your family, a whole-home air purifier from Ray’s Heating & Air will help you manage it. 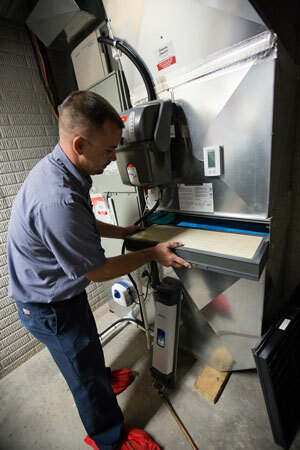 Installed as part of your home’s heating and cooling system, it puts you in complete control of air purity. When your HVAC system fan is on, it delivers cleaner, healthier air not just in one room, but throughout your entire home. Whole-Home vs. 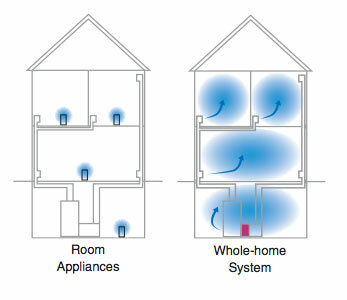 Individual Room Air Cleaning Systems. 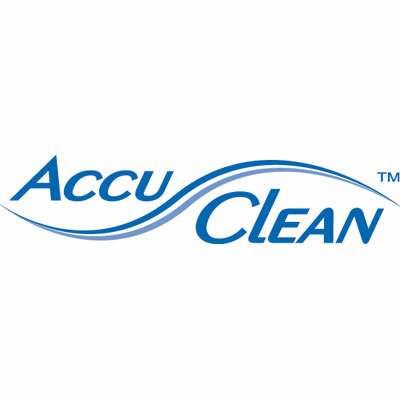 When judging between a whole-home system and independent room air cleaning systems, it’s important to remember that a whole-home system is often more efficient and less intrusive on your home’s environment than portable room air cleaners. In fact, if you added one ionic-type appliance to every room in your home, they would not significantly affect the air like a whole-home system can. Plus, at $300 to $500 each, a whole-home system is often a better economical choice, now and for years to come.